Nowadays, Hibiki is a big name in whisky market. Suntory positioned Hibiki whisky as a premium gift. In 1989 Suntory launched the first Hibiki. It was a 17 years old bottling, much older than most other brands’ elementary bottling. Suntory at last released a younger version of Hibiki in 2009, the 12 years old bottling. Interestingly that the firstly launched market was neither Japan nor Asia, but to US and Europe. This younger version of Hibiki is not simply just blended by younger age of whiskies from Yamazaki, Hakushu and Chita. Further interesting point is that part of its ingredient whiskies are aged in the casks which previously held Japanese plum liquor. The sample I tasted was from a bottling about 2013. I am not sure whether is it same as to the current release. 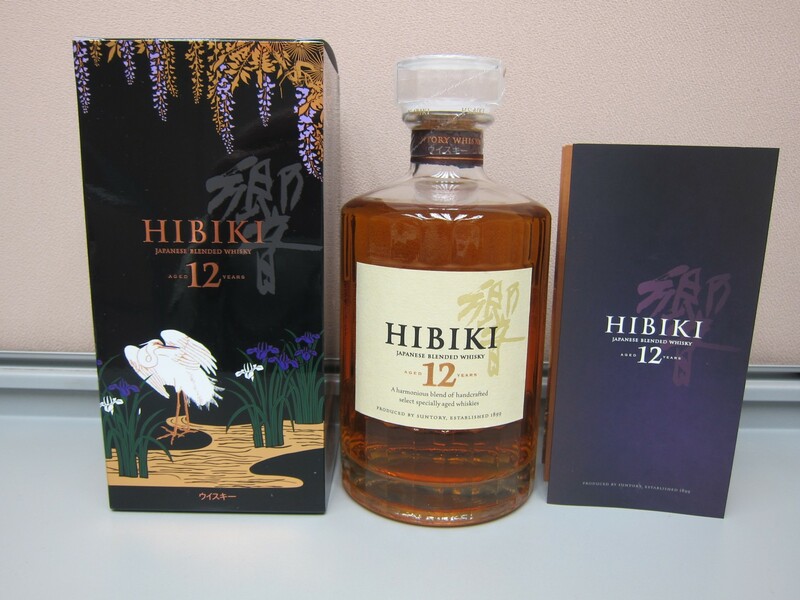 By the way, it is rumored that this Hibiki 12 years old will be discontinued from the product line. In fact most distilleries including Suntory promote their NAS (No Age Statement) whiskies and of course Hibiki is joining the rank. Comment: Mild aroma, perfume, dried flower and hay, honey sweetness, little sour of plume. Light body, not sweet as to smell. Medium length aftertaste, a bit bitterness from toasty and tannin. Very good smell, blossom & perfume. A smooth, soft and perfume whisky but simple. Good daily dram, if price can be neglected.